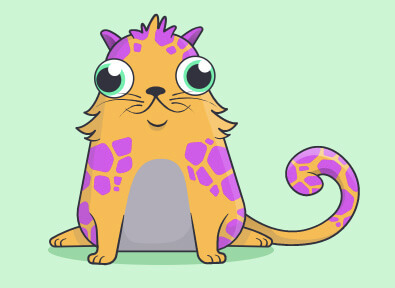 This is the world’s most expensive crypto kitty. The rarer the traits produced, the more valuable the kitten. The most expensive cat ever sold went for 253.33 ETH, approximately $110,000 at the time. Overall, users have spent over $25 million on the digital collectible. While digital assets have clearly demonstrated themselves to be a lucrative business, the MLB’s main goal in introducing the Ethereum-based game is to attract young people back to baseball. In theory, the game makes perfect sense. On one hand, the digital assets are similar to the baseball cards and memorabilia that once proliferated amongst older generations of baseball fans. On the other, the rare digital collectibles are similar to things like “skins” in the wildly popular game Fortnite. If all goes to plan, the release of the dApp in late summer will reinvigorate baseball enthusiasts and help prevent the average game attendance from declining for a third straight year. If the current average attendance of 28,543 holds, it will be the first time below 30,000 since 2003. While the MLB is the first league to fully endorse a blockchain product, they are not the first American sports entity to begin to adoption. The Sacramento Kings of the NBA, considered one of the most tech-savvy franchises in all of sports, accepted Bitcoin for tickets and merchandise since 2014. On June 27th, 2018, the Kings went one step further and announced a new charitable program, MiningForGood, that will start mining Ethereum to support charitable causes. The Kings intend to use proceeds from mining for groups such as the Build.Black.Coalition, and continues the franchise’s strong tradition of giving back to the community. Golden 1 Center is powered entirely by solar energy and home to the most progressive food programs in sports. It will now also mine Ethereum to improve local communities. 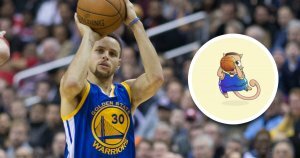 Baseball fans are not the first sport that CryptoKitties is trying to reach – a Stephen Curry-inspired kitty was recently produced the first celebrity-branded crypto kitty. Across the Atlantic, London soccer club, Arsenal FC, announced the first official partnership between a major sports team and a cryptocurrency firm back in January 2018. Through the deal, Arsenal receives an undisclosed amount of money, while CashBet, a betting platform, gains access to the millions of Arsenal fans worldwide.